Gluten-free sweet potato casserole is a wheat-free version of a classic holiday recipe for sweet potato casserole. 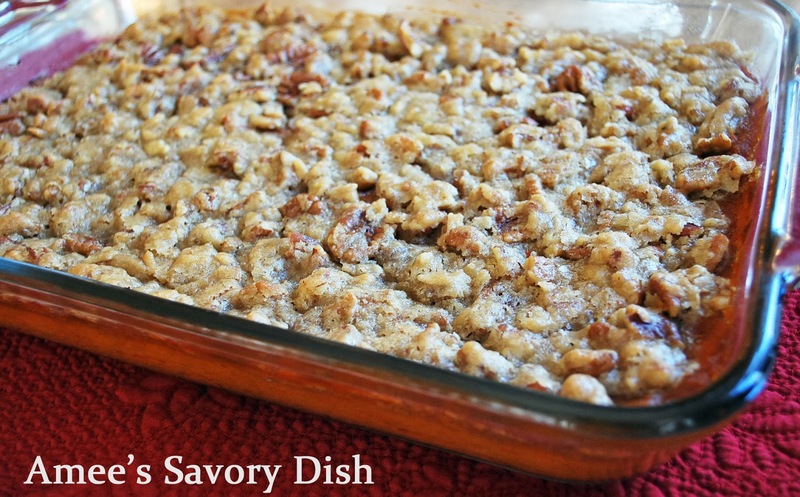 Sweet potato casserole is one of my favorite holiday side dishes. I’ve given it a gluten-free makeover and it turned out amazing! It’s the perfect side dish to serve with a Thanksgiving meal, or really, any time of the year. It’s delicious along side homemade cranberry sauce! My sister-in-law has always made sweet potato casserole for our family Thanksgiving dinner. It’s the bomb, but since Flynn has discovered that his body really doesn’t like gluten we have had to make some adjustments to the traditional recipe. You honestly cannot tell the difference, it turned out so good that I had to share. Holidays are a time for good food and family traditions. There are just some recipes that I only enjoy at certain times of the year. It’s pretty simple to make adjustments to my healthy eating plan to work in my favorite, more indulgent foods for special occasions. A few more Thanksgiving classics on our holiday table are my Gluten-Free Macaroni and Cheese Bake and Slow Roasted Green Beans. 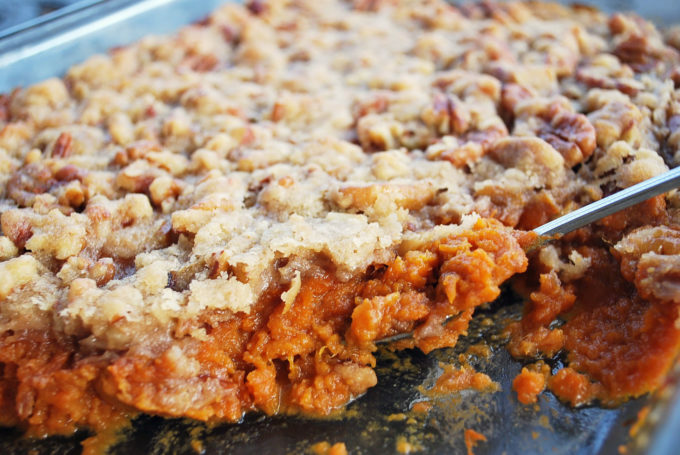 I hope you love this gluten-free sweet potato casserole recipe, too! Preheat oven to 350 degrees F. Combine all filling ingredients in a large bowl. Pour into a buttered 2 quart casserole dish. Mix topping ingredients until well combined and spread on top of the filling. Bake for 30-40 minutes until filling starts bubbling and topping is lightly browned.